There is a lot to be said about the star sign compatibility when it comes to love. There are twelve zodiac signs that represent specific dates of birth. These signs are: Aries, Taurus, Gemini, Cancer, Leo, Virgo, Libra, Scorpio, Sagittarius, Capricorn, Aquarius and Pisces. Many believe that depending on which star sign you are born under, it will show how you commonly act, and who you are likely to get along with. That being said we will look at the love compatibility depending on which zodiac sign you are born under now. We will rank the compatibility into seven different levels and cover three of these. The first star sign compatibility rating will be called HOT. Those who fall under this level have very similar styles in love that they understand each other but are different enough to keep the flair in the relationship. The astrologically compatible couple who fall into this category are: Gemini and Libra, Aries and Leo, Cancer and Scorpio, Taurus and Virgo, Leo and Sagittarius, Capricorn and Taurus, Virgo and Capricorn, Scorpio and Pisces, Libra and Aquarius, Sagittarius and Aries, Aquarius and Gemini & Pisces and Cancer. 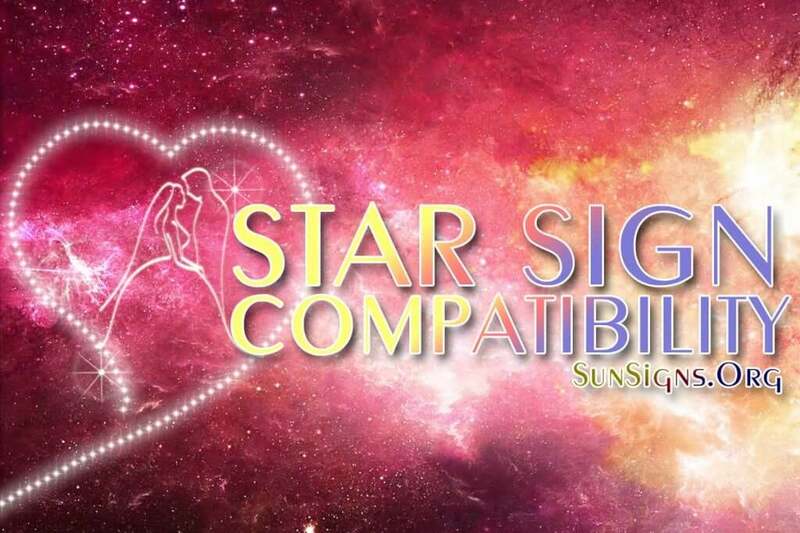 Second star sign compatibility rating will be called Great Match. Those who fall into this category have a very intense relationship and are so similar in their love styles it is uncanny. Those who share the same zodiac sign fall into this category. Third is the rank called Harmonious star sign compatibility. These people are able to collaborate with each other and have appreciation of each other’s love style. Signs that fall into this group are: Leo and Libra, Aries and Gemini, Taurus and Cancer, Taurus and Pisces, Gemini and Aries, Gemini and Leo, Cancer and Taurus, Cancer and Virgo, Virgo and Scorpio, Aries and Aquarius, Libra and Sagittarius, Sagittarius and Aquarius, Scorpio and Capricorn & Capricorn and Pisces. These are the three most compatible zodiac sign groups that you will see. What this means is that depending on the time you were born and the time your significant other was born can greatly affect your love life together. There are many other ways to look at peoples’ horoscope compatibility . But the ones covered in this article are the most common ones. With other ways to look at it like comparing the Yin-Yang combinations you can get a lot more out of it but we will stick to straight horoscope compatibility in this article. More detail into the HOT ranking will show that these couples will have a wonderful sense of compatibility when they are together. The love felt in these relationships is natural and not forced. There is also a great feeling of harmony when they are with each other. Those in the Great Match ranking tend to have a huge sense of recognition because they are under the same sign. This helps them to impress on each other with no effort at all. When you look at the Harmonious ranking these couples are very comfortable together. They will continually make each other feel good no matter the situation. So now we have looked at three of the seven star sign compatibility ratings and you can tell who you are meant to be withas a couple.